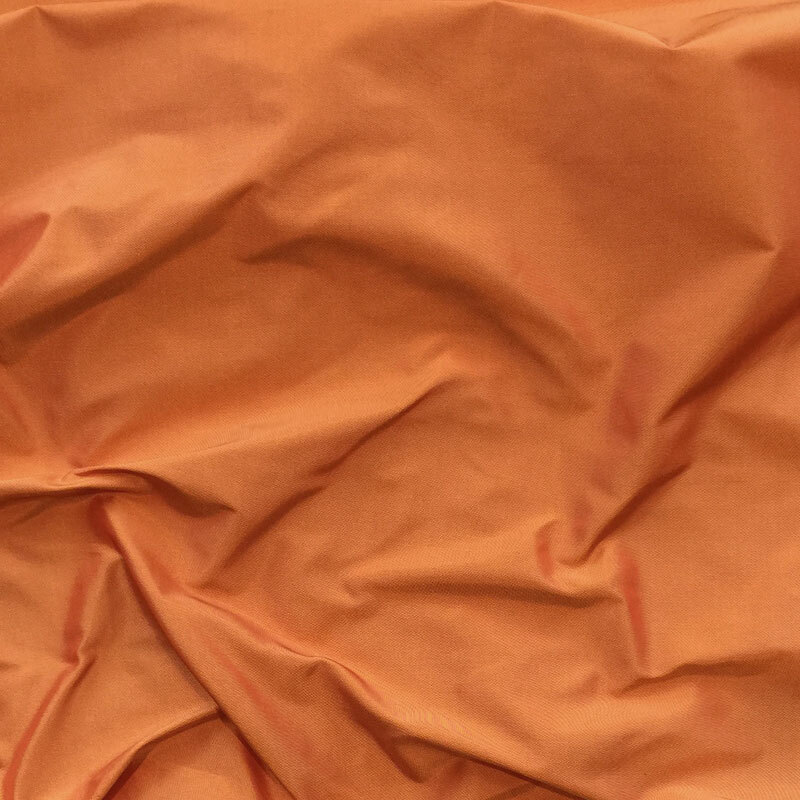 This is a bright shade of Tangerine in 100% silk taffeta. It is a “shot” or “iridescent” silk in orange crossed with gold to create a lovely effect. Can be used for clothing of many eras.